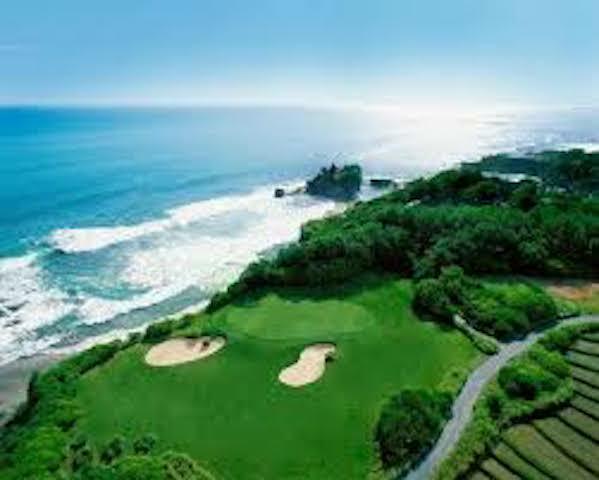 This course is designed by Greg Norman and is located in Nusa Dua, next to the tourist attraction Tanah Lot. It is a course that offers a challenge to golfers of all levels and has dramatic ocean views. Officially opened in 1997, the 103 hectare course is built on a cliff with breathtaking views of the Indian Ocean an Tanah Lot. 3 of its holes run along the cliffs of the Indian ocean, the rest among terraced rice paddies which become unique hazards . It is a luxury gof resort in the village of Tabanan, in West Bali, only 22 km from the International Airport. The clubhouse offers nice views over holes 1, 5 and 9. It has a Pro Shop, locker rooms and an all day restaurant. 18 holes: 2 600 000 rupiah on Friday, Saturday, Sunday and public holiday. 18 holes for Juniors (12-18 years old): 1 200 000 rupiah. They offer some interesting packages for golfers who stay at the resort. Tee times can be booked online. Prebooking for rental material is recommended. 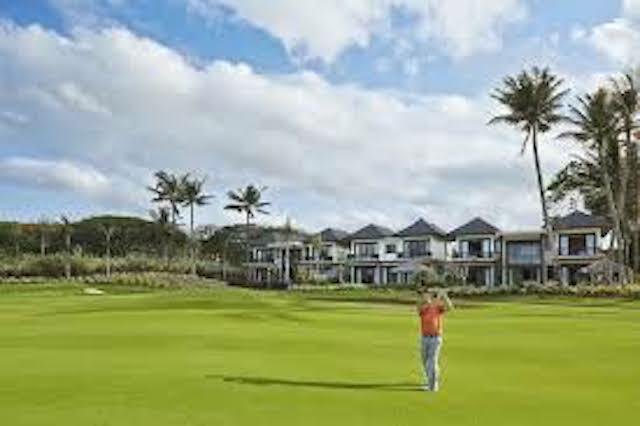 This golf course is located in Nusa Dua, in the South of the island in a tourism complex that offers hotels, shopping center and restaurants. This is a shampionship standard course designed by Ronals Fream, David Dale and Kevin Ramsey . The 18 hole course is a links style course. 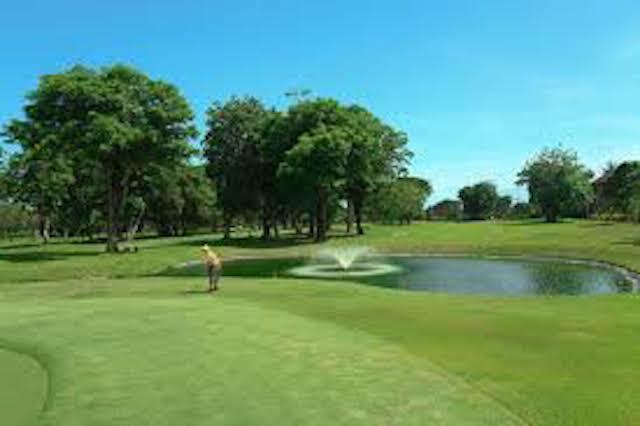 It is a Par 72 course over a total area of 85 area. It is about 20 minutes driving from the airport. It is located on the southwestern rim of the Island and perched above a limestone cliff, overlooking Balangan Beach. Practise balls / driving ranges: 50 balls: 60 000 rupiah. 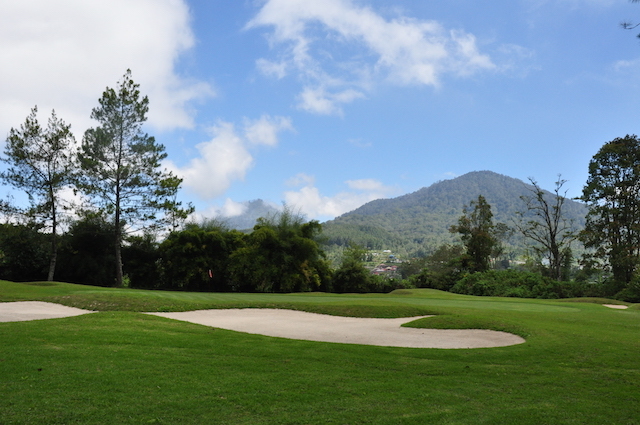 Handara Golf, located in the highlands of Bedugul, offers some of the most spectacular golfing on the island. Masterfully designed by Peter Thomson, Handara is the only golf course in Asia with its location set in an extinct volcano. During your stay at Villa Bossi you can discover this great golf course. The course is located at 1142 meters above sea level. It is an 18 holes championship course - par 72. In this mountain area clouds are common in the afternoon so I advise to start your golf game in the morning. During the rainy season the course is cooler with an average of 17 degrees Celsius and little wind. Golf rates are inclusive of Golf cart and caddy fee. A restaurant overlooks hole 18. Renovations of locker rooms and restaurant area are ongoing at this moment and would be ready at the end of 2017. The only 9 holes course available on the island is located at Sanur next to the Grand Bali Beach Hotel. The golf course is well laid out with seven Par 4’s, one Par 5 and one Par 3. On some of the holes the wind comes into play. Golfers of all levels can play this course. Greens are well bunkered but don’t show severe ondulation. Locker rooms, a restaurant and a pro-shop are available on site.